Fives supplies and manufacturers Gardner superabrasive wheels that are engineered to deliver the ultimate performance and optimum return on investment. Five offers both diamond and CBN abrasive grinding wheel in a wide variety of bond types, crystal sizes and styles including; ring, button, segment, and radial line configurations to fit virtually all superabrasive capable grinding systems. The hardness and longevity of superabrasive crystals provide extremely long wheel life and the ability to hold tight tolerances with minimal downtime for dressing and wheel changes. At Fives, we deliver only the best products with maximum performance. Gardner manufacturers a long line of custom engineered superabrasive diamond and cBN wheels that meet and exceed customer expectations. With over 100 years’ experience, Gardner specialists are on the cutting edge of technology utilizing premium materials and methods for developing Gardner superabrasive metal superabrasive wheels so that customers can be assured that they are receiving the best product on the market. Whether a customer is burr grinding, ID grinding, Honing or Form grinding, Fives has the wheel for each unique application. With over 100 years’ experience, Gardner specialists are on the cutting edge of technology utilizing premium materials and methods for developing Gardner superabrasive resin and polymide superabrasive wheels so that customers can be assured that they are receiving the best product on the market. At Fives, we deliver only the best products with maximum performance. Gardner manufacturers a long line of custom engineered superabrasive grinding wheels that meet and exceed customer expectations. 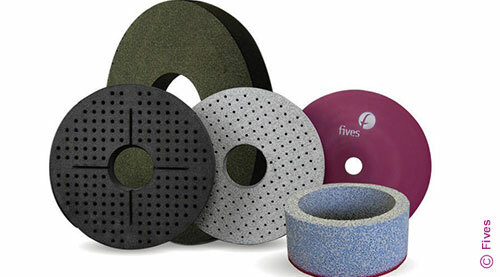 Fives manufactures a broad range of superabrasive grinding wheels using the most state-of-the-art technology, manufacturing methods and raw materials to meet and exceed customer expectations. Customers come to Fives with the most challenging operations and rely our years of knowledge to produce custom solutions to their most difficult to grind applications. 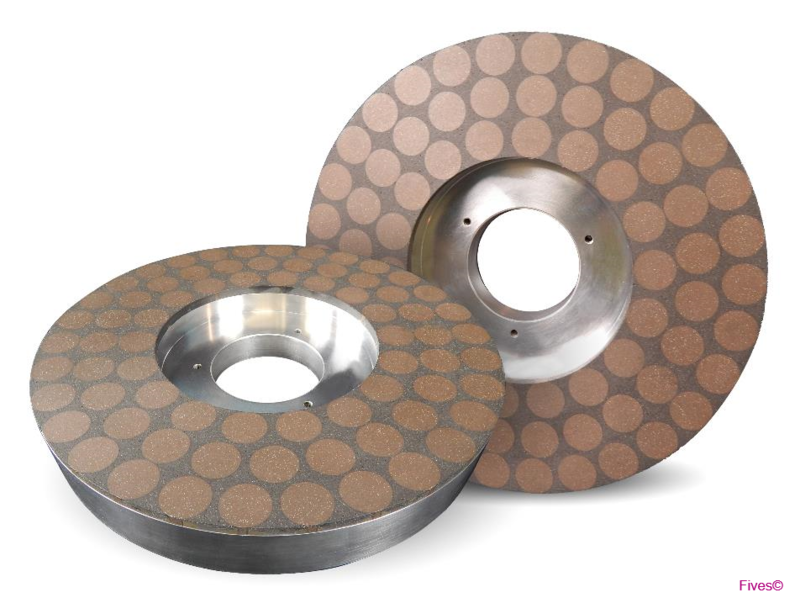 Gardner hybrid (resin and metal) superabrasive bonded grinding wheels ensure a higher material removal rate and cycle time reduction without compromising surface finish. Gardner hybrid wheels provide high process stability and grinding productivity. Not only do Gardner superabrasive hybrid wheels offer consistency in grinding performance but they are easy to dress and maximize cutting ability. Fives engineers rely on years of experience and state-of-the-art technology to maximize the performance of Gardner vitrified grinding wheels and centerless applications. Rely on Fives for vitrified centerless grinding wheels to maximize efficiently of centerless grinding operations. Gardner vitrified grinding wheels are best suited for precision grinding of ferrous and non-ferrous materials and are available in a variety of sizes. With Fives dedicated application support and quick deliver, these high performance wheels allow for better form retention and excellent component finish. With over 100 years’ experience, Gardner specialists are on the cutting edge of technology utilizing premium materials and methods for developing Gardner superabrasive plated products for grinding, finishing, and honing operations. Fives manufactures a variety wheels such as, small I.D. wheels to larger O.D. wheels in a variety of shapes and sizes.